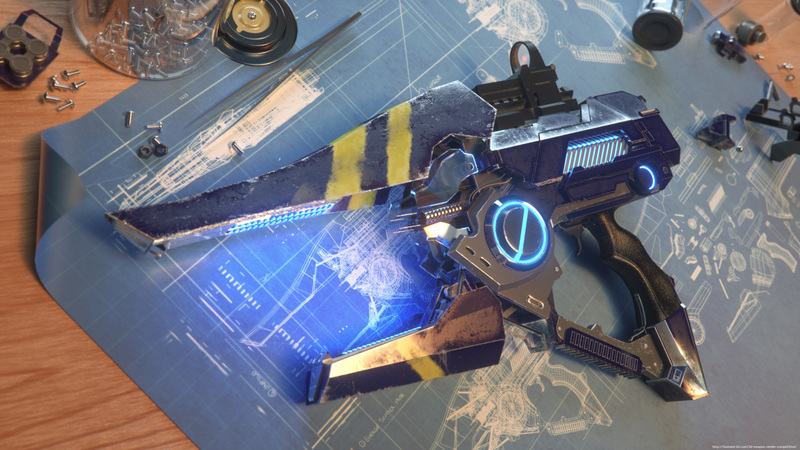 A one handed energy weapon capable of opening and closing its frontal sections to switch between fast firing scatter shots and precision energy bursts. 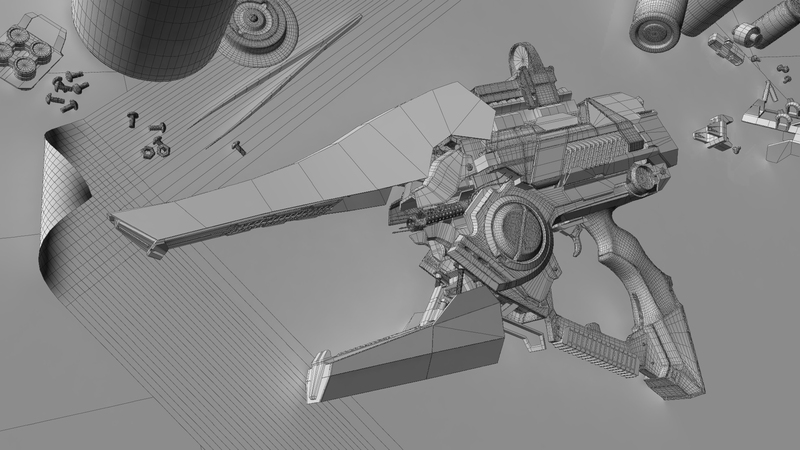 Weapon designed, modeled, textured and rendered purely for the Render Challenge. Hope you guys will like it.